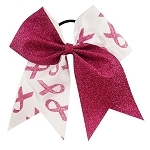 This listing is for a Boutique Grosgrain Ribbon Cheerleading Hairbow! FUNKY & FUN! These are hand-made by me! 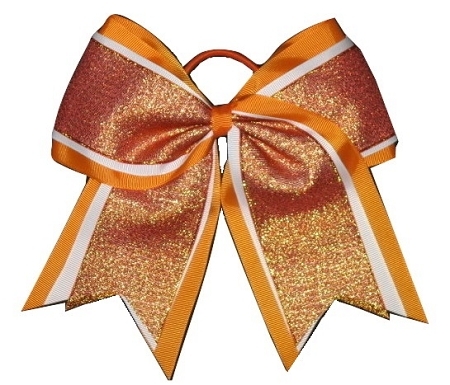 The Hairbow is made out of orange, white and shimmer metallic orange colored premium 3 inch grosgrain ribbon! These Boutique Bows are approx. 7 inches in length and 7 inches wide. Cheer Bows are attached to a stretchy elastic hair tie! Great for Cheer Practice, Football Games, Pageants, Cheerleading, Gymnastics, Dance, Vacations, Birthdays, Halloween, and more! Your daughter will love these bows! Check out my store for other hairbow colors & styles!